Without them, you won’t rank highly in the search engines. This also means you’ll have less traffic and earnings. But, don’t you want more traffic and earnings? Of course! So, just build more backlinks and you’ll be swimming in money, right? While it sounds easy in theory, backlink building can be very time consuming and tedious. If you learn to master the essentials though, your SEO results will skyrocket. That’s exactly what I am going to teach you today – how to build backlinks in 2018. There are some marketers whom debate that backlinks aren’t that important for ranking a website. A study from Searchmetrics concluded that it is by far one of the most crucial ranking factors. While the anchor text, referring country, and similar metrics are important, the number of backlinks is still a signal that Google and other search engines look for the most. These links are vital as they tell search engines that your website is important. It relays trust and authority. The engines see that larger website are pointing towards yours and rank you higher as a result. Simple. Back in the early to mid 2000’s, the SEO landscape was much different. It was all about quantity over quality. This is why blackhat marketers were running around rampantly. 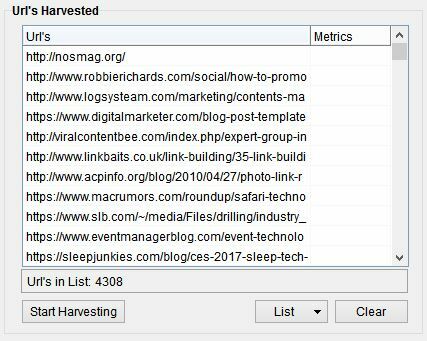 Spamming directory, blog comment, and similar links had incredible effects on a websites ranking. Nowadays? Not even close. Building spammy links will only get you de-indexed or ranking poorly. It’s all about quality now. If you put in the work, you’ll be greatly rewarded. Now you might be wondering “How do I build backlinks?”, well, here’s how. A classic and staple backlink building method. 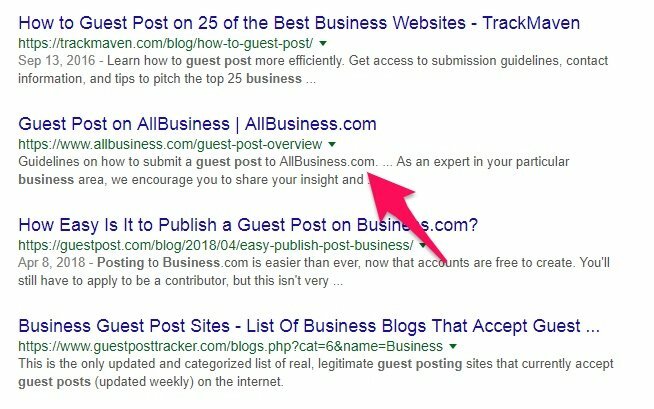 Used by some of the best internet marketers to this day, guest posting is fantastic for acquiring high quality links and building relationships. It works like this – You pitch article ideas to another website in your niche, you write one of them, they post it on their blog and you get a backlink to your website. Guest posting can take a fair amount of work, just look at how few bloggers are taking advantage of it. But that means more opportunities for us! This should give you plenty of results for websites that accept guest posts. Whatever website you guest post on, ensure that your read their rules thoroughly and follow them. This makes getting accepted easier and quickens the editing process. Now, not all blogs are streamlined like Allbusiness, which includes a form to directly submit your guest post, title, etc. Some will simply have an email you need to contact to pitch. You need a pitch that stands out. One that exudes credibility and experience. Here’s one from Crazyegg that you can try for yourself. If you want, feel free to include the topic ideas in the original email. 33% of emails are opened based on the subject line. It’s critical that you make it catchy but straight to the point. In my experience, “Guest post proposal” or “Guest post submission” can do very well. Going through Google finding guest post opportunities can be repetitive. I’ve been there myself. To save you time, I’m going to help you with two things. Firstly, here’s a list of guest post resources I’m sure you’ll love. These should hold you over for a while. 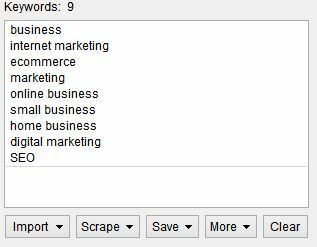 Next, I want to show you how I find tens of thousands of guest post opportunities using a handy tool called Scrapebox. Back in the day, Scrapebox had the reputation for being a greyhat or blackhat tool. Sure, it can be used for those activities, but it has so much potential for whitehat practices. Scrapebox does one thing and it does it well – it scrapes data. 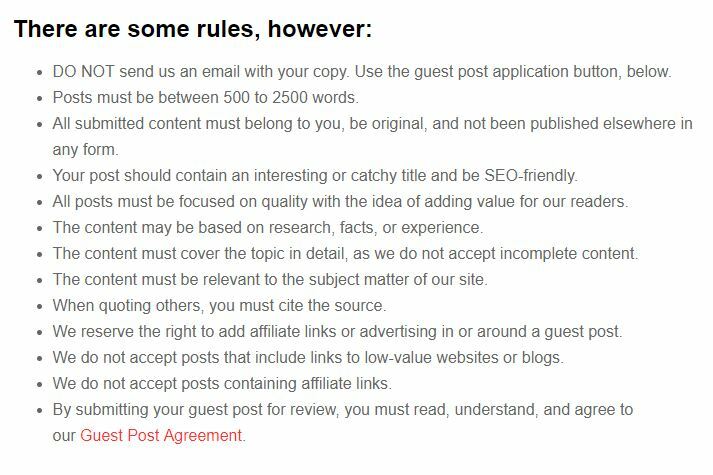 In the case of guest posting, you can use it to find unlimited websites that accept guest authors. I’m not affiliated with them in any way, I’ve just been a happy customer for many years! I’m going to begin by adding the operator “intitle:guest post”. If you aren’t familiar with operators, they are syntax that help narrow down searches. The “intitle” operator will only display results with the following words in the title. See where I’m going with this? Next, I add relevant keywords that will be paired with the operator. After harvesting, I’m left with thousands of URLs to work with. You can then further filter them down by removing duplicates or specific words. All in all, Scrapebox can easily help collect thousands of guest post opportunities in a flash. If you’re just starting out guest posting, simple Google searches will suffice for quite some time. When you want to scale the process, definitely consider investing into a tool. Finding broken links on other websites and replacing them with your own is a proven strategy for building backlinks. A broken link can negatively impact SEO, so you are actually doing the webmaster a favor by making them aware of it. As well, it lowers the user experience. If a reader wanted to visit the link and it breaks, they may not return. The first step is to curate a list of websites to check for broken links. There are many ways to accomplish this. I’d suggest sifting through Google and collecting competitors websites in an excel file. Scrapebox can be used for this as well if you want to use a paid tool. Either way, you want to download the free SEO spider from Screaming Frog. 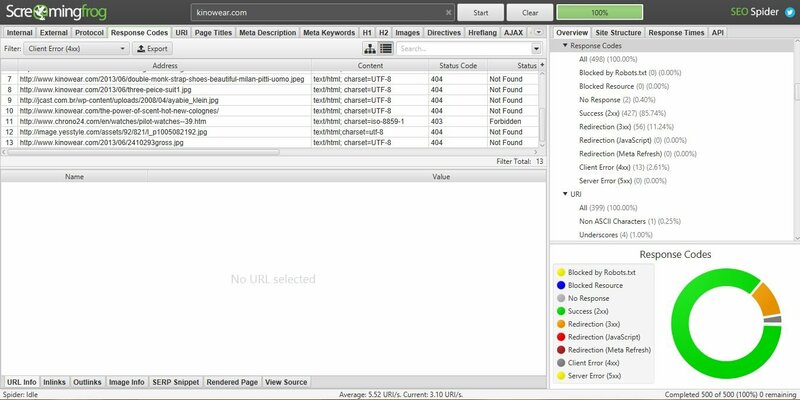 It enables you to crawl any website to find a variety of broken link types and discover backlink goldmines. Let’s open it up, type in the URL of a website we would like to scan and select the “Response Codes” tab. Click the start button let it do its magic. The free version scans up to 500 URLs which should be more than enough to find some broken link opportunities. As you can see, this URL has about a dozen 404 links. The next step is to find other websites which are linking to these broken links to then contact. Head over to Moz’s Open Site Explorer here. Copy one of the broken link URLs and paste it into the tool. For this specific broken link, there’s only a single domain that is linked to it. Hey, it’s still an an opportunity! Imagine if you find broken links with dozens of referring websites. One link opportunity turns into tons instantly. 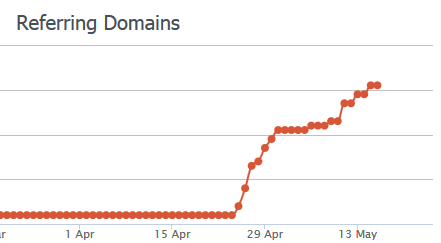 That is the power of broken backlink building. Visiting that one website that links to the broken URL, I can see the anchor text right away. Now, I just have to email them and make them aware that they are pointing to a post that doesn’t exist. This is a pitch I would send, tailor it to your exact situation if you would like to use it as a template. 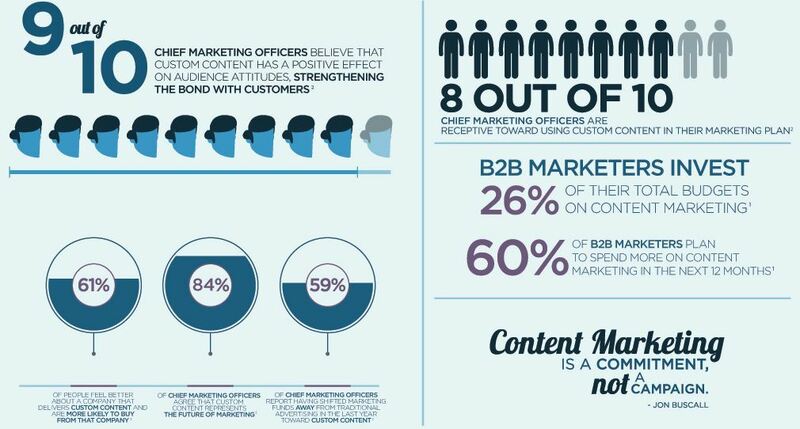 More than a quarter of B2B marketers invest their budget into content. It should be no surprise that big companies are starting to put out more and more content. Customers want it, it shows they care, and it helps drive sales. It means that you need to create content that is worth linking to. One of the most effective linkable assets is an infographic. Heck, I just posted one right above this. They’re fun visuals that are packed with information and data. 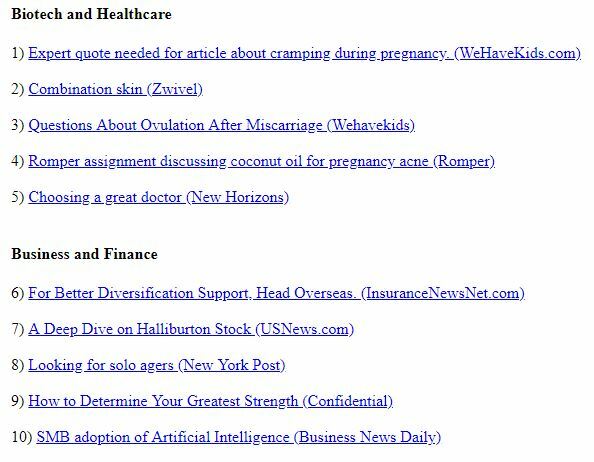 Both readers and webmasters love them. We’re going to focus on the latter here, other website owners. Making an useful infographic and offering to webmasters is a great link building method. You provide immediate value and the process is quick for the other party to add it to a post. How do you make infographics? It is a free content creation tool that I’ve personally been using for years. You can create everything from social media posts to book covers and everything in between. In our case, we’ll use it to make fun infographics. Scroll down until you reach the “Blogging & eBooks” section then choose to make an infographic. Choose from any of the templates on the side to begin crafting your infographic. Try to find one that suits the information you’ll be entering or just use it as a base to work off of. Take your time and make something that stands out, is useful to readers, and would be worth linking to. After your infographic is complete, it’s time to send it out! The first step is to find websites that could link to it, which means we’re going to use our good friend Google. Search for keywords related to your infographic. Here’s an example. A while back, I made an infographic on Rolex and their brand history. 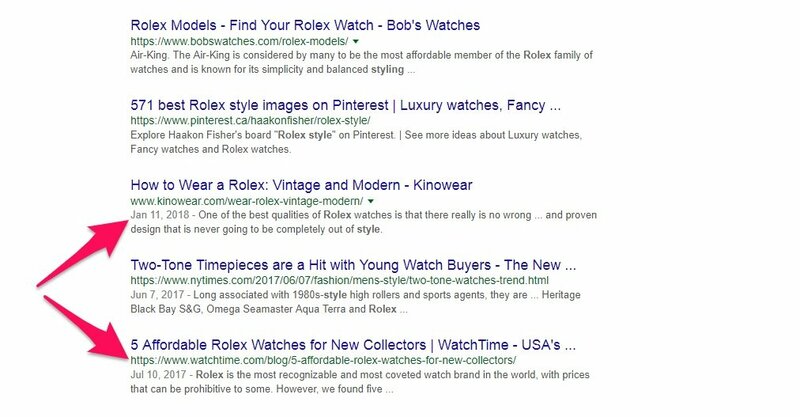 I’m going to search “Rolex styling” and see what pops up. These are two articles that could benefit from adding my infographic as they are highly relevant. Simple strategy, huh? The next step is to find a contact email. This is usually in the header, footer, or on the contact page. Pitch them by beginning with a compliment and mentioning that you have an infographic that their audience would enjoy. If everything goes as planned, webmasters will link to your infographic or embed it directly into their post. This is my little secret. Most major backlinking guides don’t tend to mention this strategy so I’ll put it out there. Imagine being able to earn passive backlinks from some of the biggest websites on the internet. They would be emailed to you on a daily basis, three times per day, 5 days of the week. Welcome to HARO, or, Help a Reporter Out. It’s a website that journalists sign up for to find sources for their articles. Forbes, Martechexec, and other huge publications even use it. That means you have a change to be placed on these sites and earn a backlink from them. Sign up as a source here. And yes, it’s free. There is a paid upgrade but I’ve never found it necessary truthfully. Once you’re signed up, HARO will email you in the morning, afternoon, and evening throughout the week. It will present dozens of categorized stories to choose from. Here’s what it looks like. On Gmail or other email apps, it may appear slightly different. Browse through the stories and click one that you believe you could offer expert advice on. This will bring you to the contact and information section. It can be a bit confusing at first but you’ll get used to it fast. The summary includes the HARO email you need to send your response to, the requirements, deadline, and more. Many of them will ask you to leave a website URL and other information so they can include it with your answer. Compose a new email to the one listed under the summary. For the title, I usually put “Response to Question They Asked“. Ensure that you follow their guidelines so you have the best chance of getting accepted. As well, always mention why you are an expert on the given subject before giving your response. Don’t be afraid to name-drop or brag about accomplishments. If all goes well, your response will be selected and you will earn a backlink to your website. It also acts as great PR and branding. 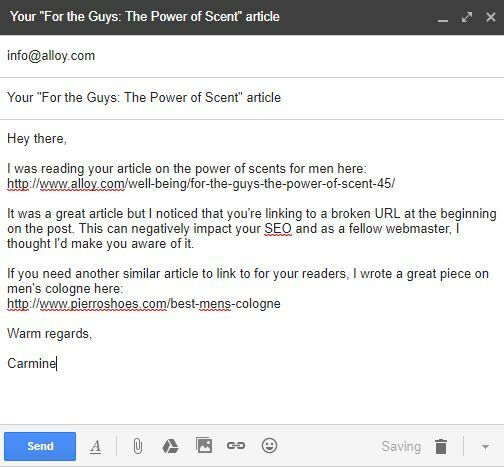 Five days of the week, you’ll be emailed backlink opportunities and you just have to give a great answer. Not bad! I would highly suggest implementing HARO into your backlink building strategy for 2018. If you have never read Backlinko before, you need to take a visit there after reading this article. Brian is the founder of Backlinko and the father of the skyscraper method of building backlinks. He was able to boost his organic traffic by 110% within 14 days by using it. Just look at how many links he was able to achieve in such a short period of time. As I’ve mentioned before, it’s all about making linkable assets – a piece of content that is worth a multitude of backlinks. To start off the skyscraper technique, we’re going to be searching for other high performing link assets. I’m going to head to Google and type in a keyword related to link building. It’s safe to say that if an article is on the first page, it’s probably high quality. So, I’m going to take this one and run it through Moz’s Open Site Explorer that I showed you before. It has a total of 19 links pointing to it, many of which have solid domain and page authority. A.K.A, it’s a great target. Now we need to write a piece of content that is even better than the one we researched. Can you see where I’m going with this? We’re going to one-up the original article so that we’ve made an even better resource. Then it can be pitched to the webmaster to replace the old one. Even if you don’t get a link, which you most likely will, you made an awesome article that can generate traffic and links itself. So, how do you make it better? Begin with the word count. On average, the #1 result on Google is around 2,450 words. 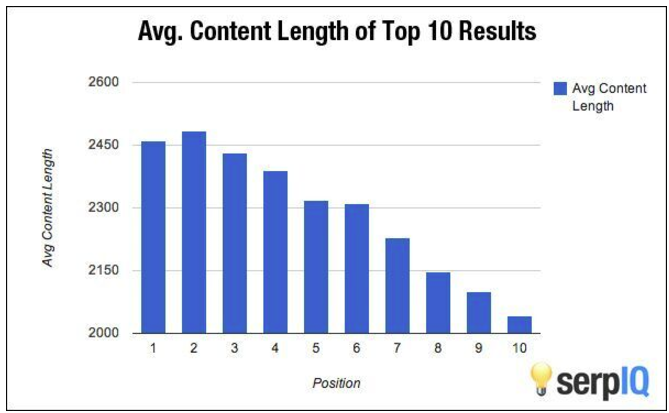 It’s no secret that longer content ranks better and improves the user experience. It packs much more knowledge, tips, and visuals, making it more valuable to readers. Use a tool like www.wordcounter.net to check the word count of the original article. Secondly, you can improve the visual aspect of an article. Do you notice a lack of infographics, charts, or data? If so, ensure that you include these things as much as possible. Formatting with headers, lists, and bullet points will also improve the flow of the article you write. 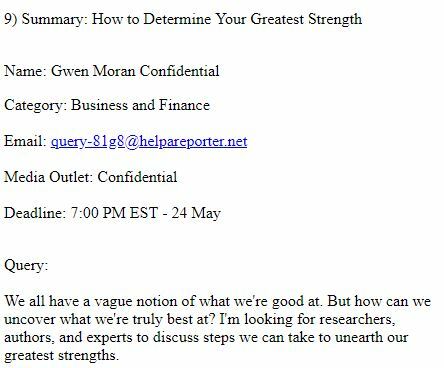 No one wants to read a generic article that doesn’t offer actionable advice. 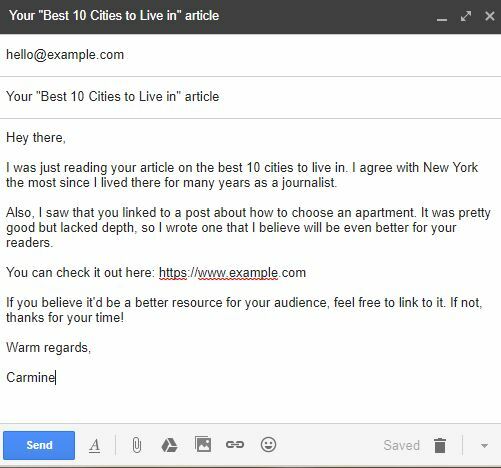 Your readers should be able to leave your article with new knowledge that will improve their lives. Include step by step instructions, resources, and tools for them to use. Then, it’s time for the last step of the skyscraper technique. You’ve found a competing article, made an improved version, now it’s just a matter of sharing it around. Going back to Moz, go through all of the website which link to the original article. Use their contact page or find an email on the website. If you want to speed up the process, tools like Hunter.io can collect emails for you. 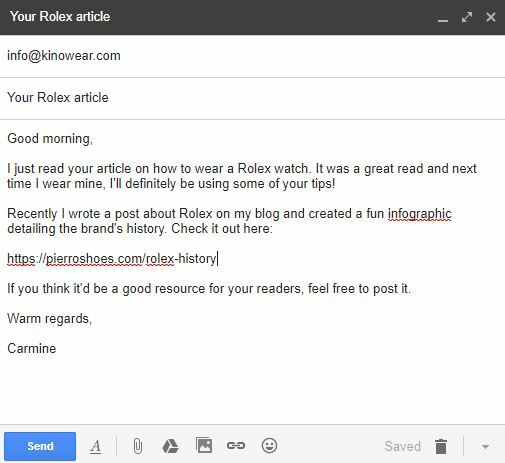 Once you’re ready to reach out, use an email template like below. Backlink building is needed for growing a website. Without it, you won’t reach your traffic and revenue goals. It can take a lot of energy but if you do it right, you can have consistent high quality links always incoming. Guest posting is one of the best ways to begin. It doesn’t cost you anything but time and it can help build relationships along the way. Research other blogs in your niche and offer to post for them. Broken backlink building is the second method I suggest. When you master it, I would argue that it is the most effective strategy out of all of the ones I discussed today. 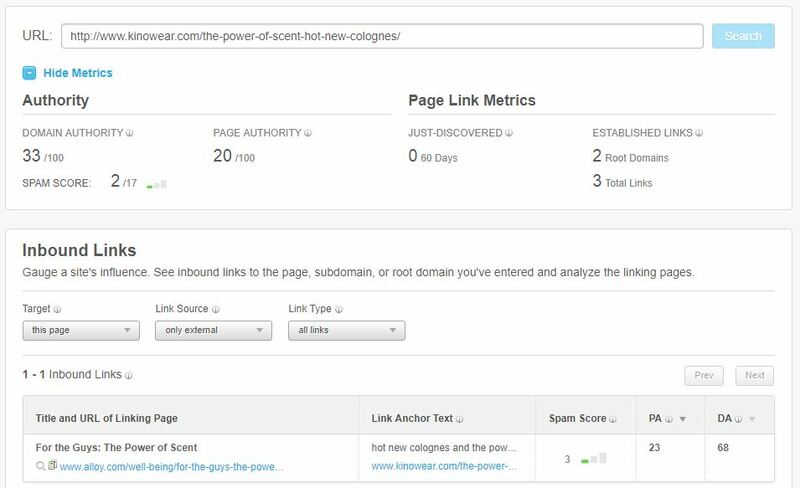 Use tools like Moz and Screaming Frog to help discover broken link opportunities. Infographic marketing and the skyscraper technique are actually quite similar in nature. Both involve creating a premium piece of content and sharing it for links. HARO you need to take advantage of. It’s free and you will literally have backlinks coming to your email multiple times per day. What is your preferred method of acquiring backlinks?